A Trip to the Orthodontist- What’s the cost? If you’re considering getting braces for yourself or your child, then you should also be contemplating the cost. In 1980, the average cost of orthodontic treatment was around $2,000, or about $5,700 today after inflation. That’s comparable to today, as the average cost of traditional metal braces ranges from $3,000 to $7,000, depending on your insurance plan, choice of orthodontist, and treatment time. Today, Dr. Matthew Milestone of Milestone Orthodontics is here to explain the monetary and medical value and price behind braces near Saddlebrook, NJ. Although metal braces have been the #1 choice for treatment for several years, there are now even more options to choose from. Dr. Matthew Milestone says that many of his patients near Saddlebrook, NJ choose these options because the span of treatment may be shorter, or because they don’t want the “train track” look. These options vary in cost due to the process of putting them on, the cost of materials, and what your orthodontist will charge. As discussed before, the national average price of metal braces ranges from about $3,000 to $7,000. These are the traditional braces that are most commonly used, and are easily the most recognizable. Yet many patients opt-out of metal braces because they don’t like the look that comes with them. Like metal braces, ceramics are adhered in the same way, and perform the exact same function. However, these use tooth colored or clear brackets and wires to blend in with the teeth, reducing visibility. But, ceramics can sometimes be more expensive than metal with the national average of ceramic braces ranging from $4,000 to $8,000 and the Milestone Orthodontics associates say that they can stain easily if not taken care of properly. Lingual braces, or braces adhered to the back of the teeth, are by far the best option if you want to keep your treatment concealed. Dr. Matthew Milestone mentions that these are usually the most expensive, with the national average price of treatment fluctuating from $8,000 to $10,000. Because of the procedure, your insurance company may choose not to cover this method of orthodontic treatment because of its’ cost. Clear aligners like Invisalign, according to the national average, usually cost anywhere from $4,000 to $7,500. These are a great option because they’re almost invisible, and you can take them out to eat whatever you want. Although one of the best options for concealment, these will not work for serious dental problems. They can be lost easily and costly to replace, treatment time may be extended longer than normal, and they are only available to teens and adults, not children. If you have dental or health insurance, then you should consult with your orthodontist before receiving any type of treatment. Many insurance companies won’t pay for treatment if the patient is over 18, but you may receive partial coverage if under 18. One Milestone Orthodontics colleague says that it’s always possible for you to purchase supplemental orthodontic insurance if your health plan doesn’t cover braces. Make sure to ask about the percentage that they cover; a common figure near Saddlebrook, NJ is 50% with a $1,500 lifetime maximum per child. Beware, if you change your insurance plan after the application of your braces, the insurance company may consider it to be a pre-existing condition, which will force you to pay out-of-pocket. Many orthodontists offer a payment plan to reduce the amount owed. Dr. Matthew Milestone says that the best way to estimate the cost is to plan ahead and receive a consultation early on to determine if you will need braces, then you are enabled to create a budget for the future. Additionally, you may be able to receive treatment from a dental or orthodontic school for a reduced price- as long as you don’t mind a student poking around in your mouth while a professional supervises. 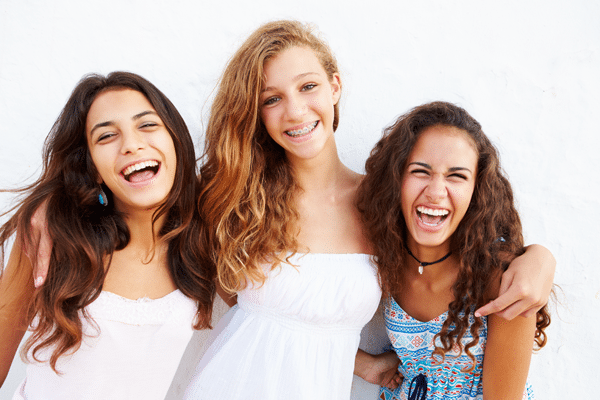 While the national averages for the different types of braces are listed above, each price differs depending on the individual patient and the individual orthodontist. Factors such as the amount of work needed, the treatment time, the Insurance company, and the payment plan all affect the final price tag of orthodontic treatments. The only way to know exactly how much your treatment is going to cost is to set up an appointment with Milestone Orthodontics in order to discuss an individual plan which works for you. Through any and all of these means, Dr. Matthew Milestone and his team at Milestone Orthodontics near Saddlebrook, NJ can help any patient achieve the healthy, beautiful smile they deserve. For more information, or to plan a complimentary consultation, visit our office near Saddlebrook, NJ or call 201.845.8411 today!